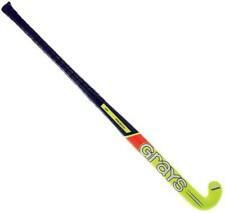 grays gx10000 hockey stick 37.5. Used for about 3 months in season - I have 3 for sale. All in absolutely fantastic condition. Dispatched with Royal Mail 2nd Class. Clearance Line New Grays GX Prowl Ultrabow Junior Hockey Stick 28"
Ultrabow blade profile ideal for developing core skills and striking the ball. Greater response, feel and touch. Grays GX CE Prowl Ultrabow Composite Hockey Stick Sizes 28", 32", 34"
Clearance Line New Grays International GX4000 Ultrabow Junior Hockey Stick 31"
New Ultrabow blade profile ideal for developing core skills & striking the ball. Greater response, feel & touch. 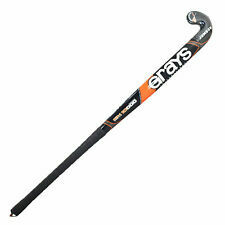 Grays GX CE Prowl Ultrabow Black Silver Composite Hockey Stick Size 28",32",34"
Introducing the NEW GX5000 Ultrabow. Ultrabow 22 at 300mm. Over the last decade the GX range has continued to evolve in response to new materials and playing styles. The precise material makeup has been carefully engineered to provide a stick that will suit players of all styles. Ultrabow 22 at 300mm. Over the last decade the GX range has continued to evolve in response to new materials and playing styles. The precise material makeup has been carefully engineered to provide a stick that will suit players of all styles. Ultrabow profile. Bow Location: 20mm bend at 30cm. Micro head shape. Low balance. Integrated Edge Protection and Heel Protection. Construction: Carbon, Fibreglass and Aramid. GX10000 Jumbow. • Jumbow blade profile. 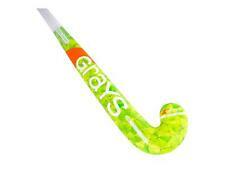 FIELD HOCKEY STICK GRAYS GX 10000 JUMBO. • Energy Reduction Handle Construction. • Exceptional balance and feel. GRAYS GX 7000 JUMBO COMPOSITE HOCKEY STICK. Classic Grays design. Favoured by many International players. Grays GX4000 JNR with carbon. GX RANGE SPECIFICATION GUIDE: -Length 34.5” -Weight L -Blade profile 20mm -Head Shape MAXI -Curve location 300 mm -Twin Tube Construction -High performance composite -Durable fibre matrix construction -Optimum weight/balance ratio for extra hitting power Used in good condition,plenty life to use. Dispatched with Royal Mail 2nd Class.